KATHMANDU, Dec 20: The much-awaited Melamchi Drinking Water Supply Project (MWSP) has fallen into yet another uncertainty after its contractor Italian company CMC got into trouble and decided to withdraw from the project. While everyone in the Kathmandu Valley is eager to learn the fate of the project, the government seems to be totally clueless about the mega project. Issuing a press release on Tuesday night, the Ministry of Water Supply said that it was in consultation with the contractor’s representative, consultant of the project, officials of Asian Development Bank, experts and lawyers. The government has also asked the consultant, EPTISA, to prepare a report, including technical details within a week. It has also expressed commitment to complete remaining works of the project as per the existing schedule. There is also an Indian sub-contractor, authorized by Melamchi Water Supply Project, for electromechanical works. But government officials say they cannot say anything to the sub-contractor. Chandra Bahadur Thapa, a board member of the project, said that the silence of the Italian contractor’s representatives is making it difficult to resolve the problem. The contractor’s officials, who were detained briefly on Monday for allegedly trying to abscond, have argued that they cannot work in the same contractual terms as they are suffering huge losses from the project works. It has sought new price rates for the remaining work. The company is facing financial trouble in Italy after its financial health degraded. According to news reports, its liabilities are far higher than its income. According to officials, the consultation meetings were mostly focused on weighing pros and cons of the possible moves that the government will be making in regard to the project works. Sources say the government may choose to complete the remaining work on its own by terminating contract with the Italian firm. But it will have to find a valid ground for contract termination. 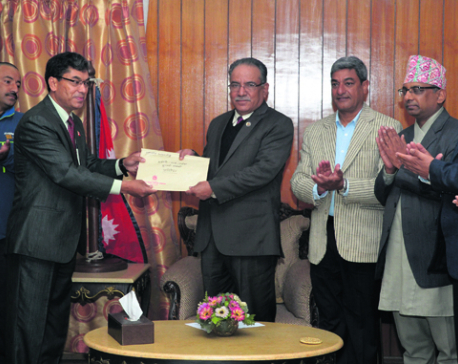 Project officials were scheduled to meet Prime Minister Khadga Prasad Oli on Wednesday to discuss their possible moves. But the meeting had to be postponed because of the Prime Minister’s busy schedule. 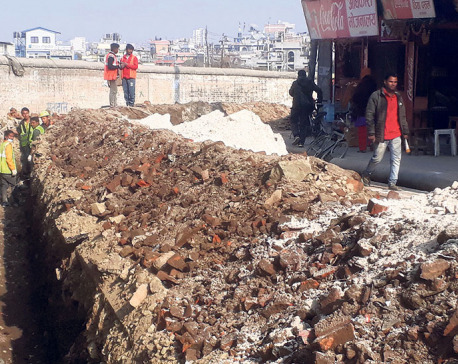 Ghanashyam Bhattarai, former director of MWSP, said that the project office should first assure locals, suppliers and vendors on payment of their works. “A sub-contractor is also involved in the project work. The project office should assure all parties involved so that project work is no hampered,” Bhattarai added. Indian firm Precision India is the subcontractor of CMC for electromechanical works. Most of the remaining works like fitting tunnel gates and laying pipes, among others, are to be done by this firm. Meanwhile, laborers have not been paid for long as the contractor has not settled payment with local suppliers. The contractor needs an estimated Rs 1 billion to settle payments of suppliers and vendors, according to project officials. The government may have to assure these local suppliers and vendors while settling issues with the contractor.